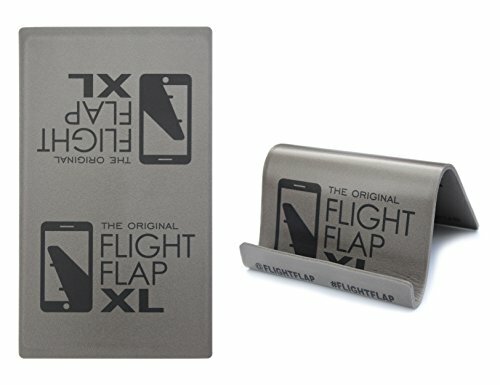 The FLIGHT FLAP XL (patent pending) is a universal tablet holder, specifically designed for air travel. Made from lightweight aluminum and closed cell foam, the FLIGHT FLAP XL folds, bends and adjusts to give you the perfect viewing angle for your larger tablet or phone device. Whether it's placed on your tray table or hanging from the seat in front of you your phone or tablet will feel right at home. Most importantly it flattens for easy stowing when it's time to land. Works on most tablet and larger phone devices and is perfect for traveling with kids - wherever they want their content. If you have any questions about this product by Flight Flap, contact us by completing and submitting the form below. If you are looking for a specif part number, please include it with your message.